Kyle Newman (born 14 December 1991) is an English speedway rider. 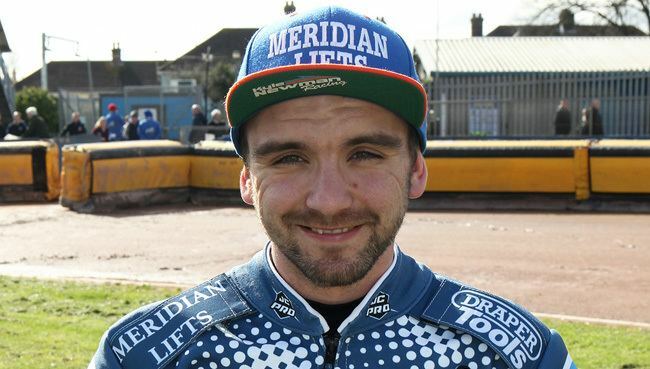 Born in Poole, Newman has ridden for a variety of clubs during a career that began in 2007. 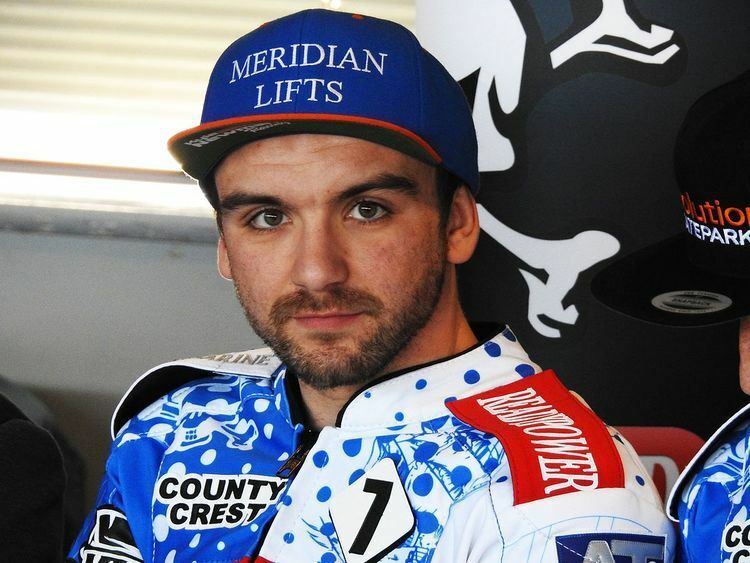 He is best known for riding for his hometown club the Poole Pirates in the Elite League. He initially had a spell with them in 2011 and then returned as guest rider in the playoff final victory against Birmingham in 2013. In 2014 he returned after the introduction of 'fast track reserves' a system designed to aid the development of young British riders. It worked out well for Newman who was voted the Pirates rider of the year in a vote on the Bournemouth Echo website. He earned 60% of the vote, in second place Maciej Janowski earned 31% of the vote. After a successful season in 2014 Poole decided to bring Newman back into the team for 2015. After having his first junior race at Somerset in July 2007 Newman was drafted into the Weymouth team for a few meetings as an injury replacement rider, these showed the Weymouth promotion enough to earn him a full team place for 2008 where he quickly became a crowd favourite culminating in the fans voting him their rider of the year on the clubs website poll. Towards the end of the season Newman made contact with former English racer, Marcus Williams from Townsville, Australia, who was looking for a young English rider to sponsor to race in Australia that winter, here he also made contact with Steve Koppe (former Australian international racer), this was to be a very good move for Newman with what the Williams and Koppe Families and a team of people in Queensland, who from that moment on helped develop Newman into the racer that he is today, also teaching him to maintain and tune his own engines which he does to great effect (Newman has travelled to Australia every winter to date). For 2009 Newman was set to rejoin Weymouth but upon his return to the UK the promotion insisted he did not take up a squad role with Newport in a higher league to help his development even though this would not affect his role at Weymouth, subsequently he was snapped up by the newly formed Bournemouth Buccaneers where he had a very good season improving considerably until a crash in the final month of the season saw him break his left femur badly resulting in having surgery to pin the leg, unsure if Newman was going to be fit for the 2010 season the Bournemouth management decided to release Newman so he was signed up by Newport for their National league team, half way through the season Newman had his first international at Gorican, Croatia in a world U21 qualifier just missing out on qualifying in a run off for 6th place, but this event earned him a place for the rest of the season with the Birmingham Premier league team. After winning the U21 Queensland state title and coming 4th in the final round of the Australian national titles Newman returned in 2011 as a squad member for his parent and hometown club Poole in the Elite league and also signed for Premier league club Newcastle. It was at Newcastle in October where after being accidentally caught by another rider, as a result of the crash the handlebars punctured a main artery, and it is only due to the quick actions of the track's medical staff and major surgery that night at Newcastle hospital that Newman's life was saved and he has been able to carry on with his career, winning cup and league titles with Premier league team Somerset in 2012 and 2013, guesting for Poole in the 2013 Elite league final helping them to the title and achieving his first EL race win at Birmingham, and in 2014 being a major factor in Poole again winning the Elite title. Individually Newman has regularly competed in individual events in Europe and the UK, winning the Golden helmet at Dudley 2012, twice winning the Belgian Gold helmet 2013/2014, Newman was also the first English rider to qualify for the European U21 final 2012, a broken shoulder just days before the U21 semi final in Teranzano in 2012 hampered his chance to qualify for the finals and finishing in 11th place, for his efforts Newman was given the wildcard at the GB round of the U21 title's at Coventry where he came joint 4th on 10 points which come the end of the season actually placing Newman 18th in the world from just 1 out of 8 rounds.